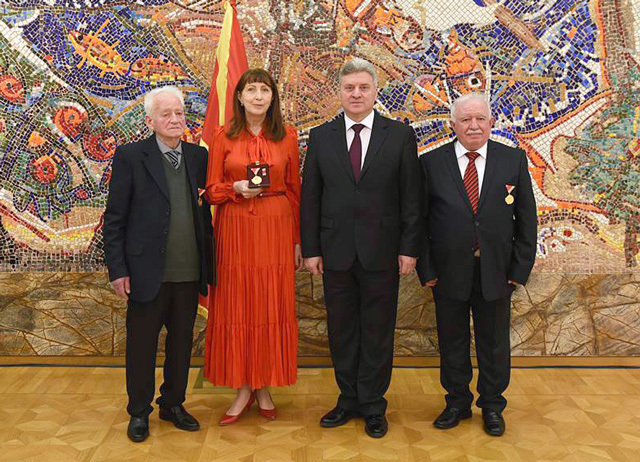 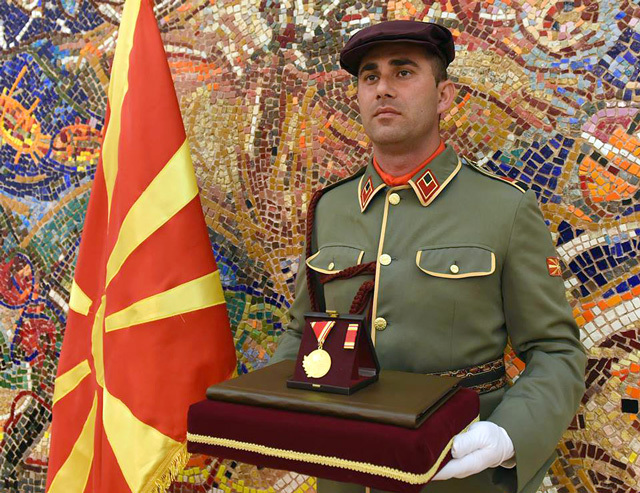 The President of the Republic of North Macedonia, Dr. Gjorge Ivanov decorated the distinguished scholars, linguists and Macedonian language specialists Kosta Peev, Stojan Lekoski and Olga Pankina with Medal of Merit for Macedonia. 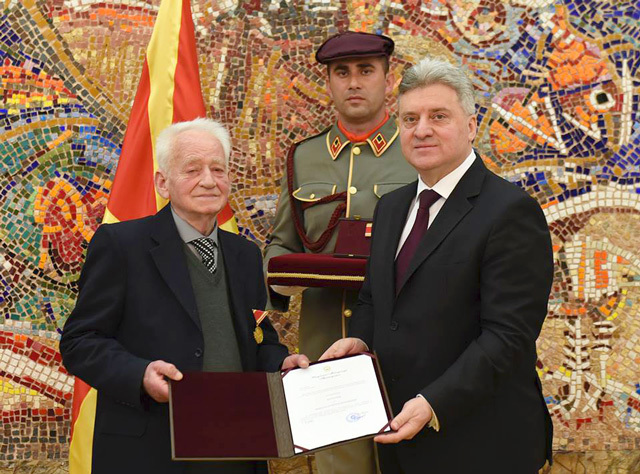 Kosta Peev, professor of dialectology of the Macedonian language, is decorated for his exceptional commitment and engagement in his work and activities which made a significant contribution to the preservation of the dialects of the Macedonian language and its wider affirmation. 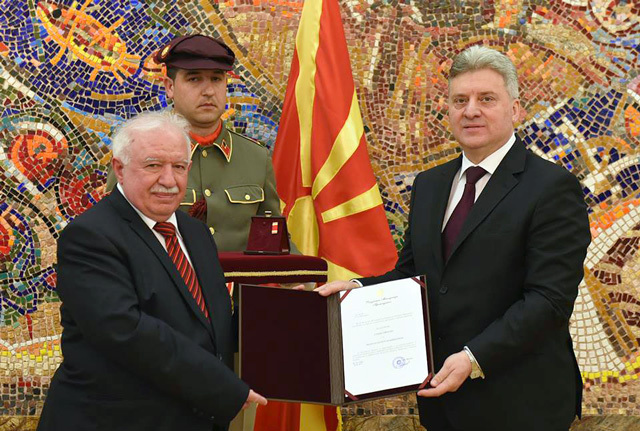 Stojan Lekoski, literary translator and bibliographer, is decorated for his exceptional contribution to the affirmation and popularization of the modern Macedonian language, literature and culture in the Slovak Republic, as well as for the promotion of friendly relations between the Republic of North Macedonia and the Slovak Republic. 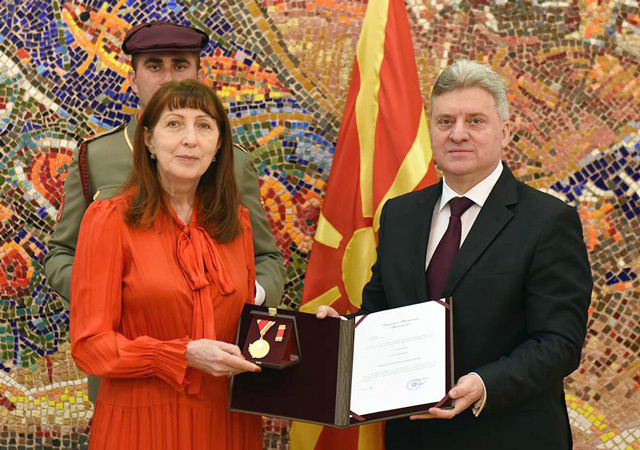 Olga Pankina, a Macedonian language specialist and translator from Russia, is decorated for his exceptional contribution to the affirmation and popularization of the modern Macedonian language, literature and culture in the Russian Federation, as well as for the promotion of friendly relations between the Republic of North Macedonia and the Russian Federation.